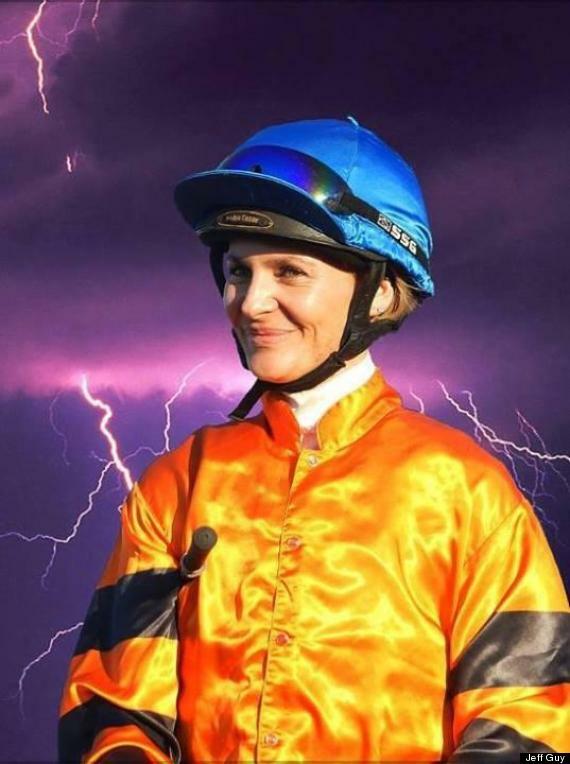 Home > Mare's Musings > Perceptions, Part 1: Desiree Gill and Simone Montgomerie: Warrior Women, Jockeys, Alphas Extraordinaire. Perceptions, Part 1: Desiree Gill and Simone Montgomerie: Warrior Women, Jockeys, Alphas Extraordinaire. Two topics are banging away at the top of my brain today. So let’s talk about them: rather than writing two articles, I’m going to write one piece and divide it into two parts. At first blush, you’re going to think that I’m just confused. Surely, these two things have nothing to do with each other. But trust me–stay with me–these two things are most definitely connected. But if you think that I’m confused–you will be wrong. For the tragedies, the fierceness and the raw emotions that are evoked by these two topics indeed are related. Picture me, if you will, sitting at my computer dressed not in my usual raggy writing-at-home clothes, but rather in respectful black clothing and hat. Today I offer my hand and heart to the families, friends and connections to two remarkable women in Australian horse racing. I’m weeping as I write this, because I’m grieving along with you. You see, the first order of this day is to pay homage to two women who represented, perfectly, the spirit, strength, power and commitment of horse racing. Both Australian Jockeys, their talents and love for the animals and the sport transcended mere geographic borders. 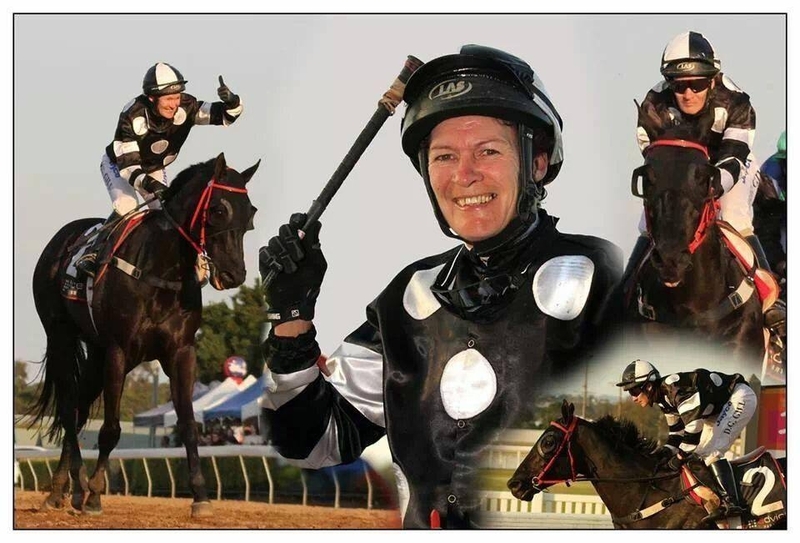 Simone Montgomerie and Desiree Gill were not Jockeys–they were our Jockeys. They belonged to the world, because the horses they rode had no nationalities. Oh, sure, horses can be bred in Oz, or the U.S., or the U.K.–but like Canada Geese (not “Canadian” Geese)–animals have no patriotic connection to a country, nation or political ideology. By the same token, Jockeys in Australia–both female and male–may be from Oz, but their victories belong to all of us. And their untimely, painful, cruel deaths at the hands of the same sport that also drove their joy and bliss–is both ironic and immeasurably sad. Both died doing what they loved to do. Both women loved horses passionately, obsessively and with great, deep knowledge. And both died, tragically–the results of racing injuries. Both women were Mothers, daughters, lovers, friends, colleagues, pals, Facebook friends–with someone. With thousands of someones. Many, many people are hurting today because today–November 9th, 2013–is the day that Desiree Gill succumbed to traumatic brain injuries that she sustained when after falling from her horse, Celtic Ambition. 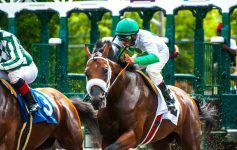 Simone Montgomerie died on August 5, 2013–and I’m writing about her now because August 5th was the first night of the Saratoga Fasig-Tipton sales, right smack-dab in the middle of Saratoga Race Course’s busiest and most exciting season, the 150th. They were a generation apart, as well: while Simone was 26 when she died, Desiree was 45, and had been in racing for over 30 years. But, just as with the inconsequential factor of geography—age, too, is irrelevant in this discussion because of the transcendent nature of The Horse. Please note that gender is not a factor when talking about Jockeys, from bugs and apprentices up through the ranks of Eclipse Award winners and millionaires. The gender of a jockey has nothing whatsoever to do with her or his ability to ride a horse, or to win. Anyone who preaches otherwise is misled, lying or delusional. I don’t have to show you the famous photos of Julie Krone’s back to convince you that female Jockeys have the musculature of a DaVinci statue, do I? …because…it’s a given that ALL Jockeys are small. Let’s just throw that one out the window. We know about weight limits and height–so, whether a woman or a man–every Jock on the planet is tiny, unless they’re jump jockeys. And the other describing words there? It doesn’t matter if a Jockey is pretty, adorable, cute, perky or darling: all that matters to bettors is, Can She Ride? I want to stick my finger down my throat. So we in horse racing–all of horse racing–have lost two talented, dedicated Jockeys to the perils of our sport. Simone left this earthly oval in August, and Desiree joined her today. God rest their souls, and comfort everyone who loves them. Two Warrior Women–strong, powerful, alpha mares. They were not weak, whimpering, simpering little girls who sought or needed the approval of males. Fortunately, I’ve seen nothing in the media that feeds that myth. They rode hard, they rode with their hearts—their legs–their arms—their hands, thighs, backs, souls–and their heads. They did not go gently into that good night–they rode their guts out. They rode until their hearts burst, and in so doing, our hearts burst, as well. Enjoy Eternity, but do not just “rest,” Desiree and Simone. Ride hard, ride well and enjoy the thrill of your Heavenly race. And thank you, from my heart, for being shining examples of strong, smart, capable, determined, brilliant women in racing. Your example and grit will inspire thousands of grrrlz and women, for generations to come. And that, folks, is what Alpha Mares do. Previous Article Arabian Horses Will Race Today, Breeders’ Cup Friday. Race 11: You Love, You Bet–Everyone Wins. Next Article “Track Life: Images and Words,” by Juliet Harrison. Launch Party November 16th!